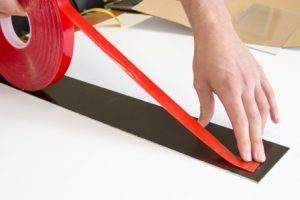 The 122 Range Pure Acrylic Tapes are high performance yet cost effective adhesive products made up of both transparent bonding films and foamed acrylic adhesives, all manufactured using a cutting edge, 100% acrylic mass technology. With a special composition giving excellent all round bonding properties and unique characteristics that allow for very high performance in application. Good level of initial tack. Easy remove release liner (Paper & Filmic). Superb resistance to environmental factors, including UV, ageing etc.